John Hughes, director of classic films such as The Breakfast Club and Ferris Bueller’s Day Off, has sadly died following a heart attack while out walking in New York. This is tragic news for those that were close to him, as well as the millions of people around the world to whom his films are so special. We’re certainly amongst those people. Those films mean something very special to his fans, and we’ll never forget his work. 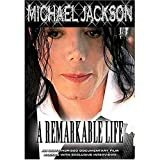 While the man himself was something of a recluse, which when you hear his reasons is perfectly understandable (He apparently went into self imposed exile of a sort to ensure his kids could have a normal life), the films of his early years as a director tell you a great deal about him. He was a man that fully understood the troubles that people face when growing up, and through the medium of film he told audiences; “It’s okay, you’re not alone.” That’s how it felt to Hughes fans like us, anyway. Yes, movies like Ferris Bueller’s Day Off, Pretty in pink and Weird Science are a ll very much of their time, but they are still timeless stories. Then you have brilliant comedies such as Planes, Trains and Automobiles, Uncle Buck and the global hit Home Alone. The man certainly knew what he was doing. While later work was of a less moving standard than those classic 80s brat pack films, he remained a very talented man. His passing is premature and very sad. Another hero I’ll never get to meet. The announcement of the Watchmen Blu-ray ‘Maximum movie Mode’ feature that has Zack Snyder pop up throughout the film and take you through the making of key scenes has got us thinking about what we can expect in the future with extras on movies. The idea of the commentary track has always been one of the most interesting things about DVDs, but now with the more advanced capabilities of Blu-ray movies , and thus the advance in extras, what can we expect ion the future? We’re very much into the idea of the commentary track becoming more of a multimedia experience, very much like it is with the forthcoming Watchmen disc. Something I personally would love to see is a movie extra feature that allows you to watch the film with footage from the various featurettes included in the film at the point of the story they take place, along with storyboards, raw green screen footage, rehearsals and so on. It would be fascinating for viewers and also give us more of an idea of the amount of work that goes into creating each shot of the movies we love (and indeed the ones we hate- there are a number of times I’ve loved the special features on a DVD and hated the film). Interactivity will be the key with future advances in movie extras, we would imagine. The viewer should be able to get information on any particular scene or effect they wish, selecting a particular mode and then selecting an area of the screen with some form of cursor (or the touch-screen of a handheld device such as an iPod or mobile phone), leading to information, stills and footage regarding whichever aspect of the movie they have selected. Select a big effect, and it should take you to information on how the effect was achieved. Select a cast member, and it could show you their screen test or interviews on set. That sort of thing. Or, what about watching the whole film in storyboards and animatics? That would be awesome. Of course, this is all probably on the way already, and I’m coming across as hopelessly outdated. If so, then I’m sorry, I just want cool stuff! Thankfully, now that the technology is available and in use, better and better extras are becoming available, and a whole new way of enjoying films and TV shows is here. Being able to see further into the creation of our favourite films, and see deleted material and alternate versions with Blu-ray movies is making it so much more fun to watch a movie again. Now, how about some films that are as good as Watchmen to go along with these great extras? Celebrity death Hoaxes in the wake of Michael Jackson’s death: Get a grip, people. Come on people, it isn’t big and it isn’t clever. In the wake of Michael Jackson’s sudden death, the internet has been awash with other celebrity death hoaxes, including ‘Myley Cyrus dies in car crash’, ‘Jeff Goldblum dead’ and (whu?!) ‘Rick Astley dies in Berlin’ have all just died too. Many of these reports are faked from other celebrity death reports, and the whole practice is pretty sick, really. (Actually, the Jeff Goldblum one was before all this, but it still stands) What’s wrong with the world? The biggest star on the planet passes away and suddenly everyone wants to make light of it with fake celebrity deaths? I know you can’t sit and play World of Warcraft ALL the time (many of us do try though), but seriously, get a grip and a conscience. Plus, it also belittles genuine deaths such as the sad loss of Farrah Fawcett as well. Think about what you’re doing. While it may seem fun and suitably leet, it’s just a bit stupid. Actually, some of these have been down to the stories getting picked up by big Twitter users and thus spread like wildfire. I love Twitter, I really do, but now and again I can’t help but think people could use it a little more responsibly.